What better time to take an adventure than Summer? The experts of adventures from Go Dream have shared their favorite Summer adventures to do in New York City. Go Dream was founded in 2007 by Nicolai Billie Krogh, and gives people the opportunity to give fun life experiences as gifts. They have been able to share over two million experiences, and also offer more than 5,000 experiences. Check out these once in a lifetime experiences that can help you send Summer out with a bang. Get your adrenaline pumping by paragliding in Catskills. At $145, you can learn to paraglide with a certified instructor. After completing your lesson, you’ll be able to see scenic New York from a bird’s-eye view. Who doesn’t want to drive a supercar? At $99, you can take a Ferrari out for a test drive. With this experience you get half an hour to drive on an adrenaline filled, but safe course with either a Ferrari, Lamborghini, or McLaren. Starting at $440, you can fly a helicopter around Upstate, New York. You get a safety briefing beforehand, then you and your instructor will take flight around Westchester county, the Hudson River, and the New York/Connecticut coastline. At the end of your flight, you can take home an HD recording to show your friends and family all the sights you flew by. Beat the Summer heat by taking an ice cream tour in Manhattan. Starting at $55, you’ll begin the tour at Union Square, then explore neighborhoods such as Chinatown, Little Italy, and Soho. This tour isn’t just about ice cream though, you’ll also learn about the areas you visit while taking in the beautiful scenery. 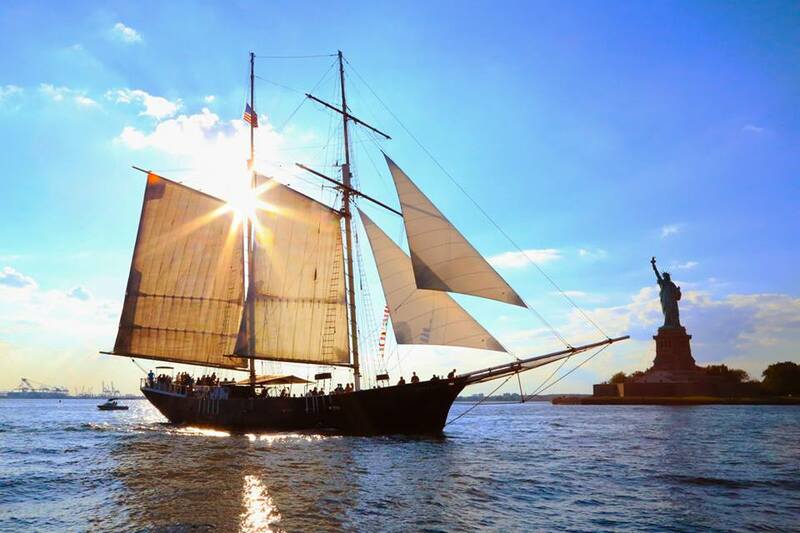 Enjoy a relaxing sail around New York City while also enjoying a fine selection of wine. Starting at $199, you can go on a wine cruise which will include charcuterie and cheese along with a special selection or theme of wines. While you’re sailing, you’ll also learn basic knowledge to understand various wines. The sail will last for two hours, and upon arrival you can choose which wine cruise you would like to go on as each one has a different selection of wines and themes. If you love to golf, this once in a lifetime experience would be perfect for you. For $100, you’ll be able to learn gold techniques personally from a PGA professional in Manhattan. After your lesson, a video of your swing can be viewed on a premiere Golf Channel Academy website so you can show off your skills. The best part is you can be any skill level to do this experience. Want to tour New York in a unique way? For $139, you and a friend can take a jet ski tour to see the Brooklyn Bridge, the Statue of Liberty, Ellis Island, Governors Island, and more. All equipment is included, and the tour will last for an hour. Experience parts of New York you haven’t seen before from high up in the sky on a hot air balloon. Starting at $248, you can travel by hot air balloon over Upstate New York where you can see Lake George along with vineyards and farmlands. You can even enjoy lunch and champagne included with your balloon tour.